I’m sure if you’ve had dogs for any length of time or ever tried to do something with your dog you’ve heard someone say, “Every dog should have a job. It keeps them happy.” There’s a lot of truth to this statement but it also can be a little misleading and overwhelming. Who wants to commit the extra time to training up a top level athlete or pursuing a second career in something like law-enforcement just so their dog can chase down “bad-guys”? When we think of a “people” job we think of responsibility. Often that responsibility isn’t something that we thrive doing, but is something that gets us paid at the end of the week. Often we feel overworked and underpaid. It’s exhausting but day after day we show up so we can get paid so we can keep a roof over our heads and food on the table. When we think of a “working” dog we often see service dogs, police dogs, military dogs, search and rescue dogs. I also think of working dogs that do any variety of sports such as agility, fly ball, nosework, freestyle, rally-O, obedience, dock dogs, or any other sports I’ve missed. All of the above “jobs” take a ton of time energy and training. Also, if you’ve ever seen a YouTube video of any of these dogs, they LOVE what they do. If a dog didn’t love their job they wouldn’t do it, or at the very least they wouldn’t do it well. I’d like to add another job to the above lists, Pet Dog. I know, I know being a family member isn’t a job and shouldn’t be considered “work” by any means. However, maintaining relationships with friends and family does take work. The same goes for your family dog. Your dog will have some responsibilities in their family pet role. These responsibilities may include but are not limited to: greeting you politely at the door when you come home from anything, letting you know there is a guest at the door before retiring to a bed to await proper introductions, snuggling with you on the couch when you eat popcorn and watch a movie, asking politely for dinner, going for pleasant walks with you, and much much more. As with any job, there are some dogs that are just naturals at being “the family pet” but there are many other dogs that have to work hard to learn how to complete their new responsibilities. Responsibilities (aka Job Description) are defined by “the boss” (that’s you). Now, think about all of the jobs you’ve ever had… all of your bosses… Did you have leaders that took an interest in you, your thoughts, your feelings, your aspirations, your goals and helped you to grow within the company? If so you were probably happy to show up to work and you were probably more productive. Have you had a manager who crunched numbers, micromanaged your every move, and was there to make sure the company kept running despite your being a part of it? If you worked for a manager you either left that job, are constantly complaining about your job, or are looking for a way out. How can you be your dog’s leader? Learn about your dog. What do they like? What don’t they like? What are they good at? What do they want to do? What can’t they do? 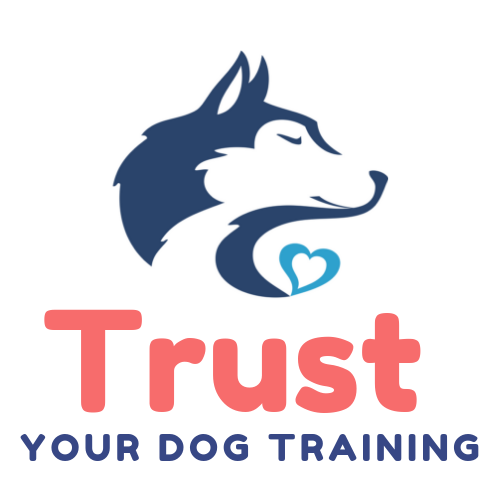 Use what you know about your dog to help him learn and execute his responsibilities well. How do all of these characteristics fit into your job description for your dog as “family pet”? How can you get these characteristics to work for you so you can train your dog to be the perfect pet for your family? If you can’t commit yourself to giving your dog a second job as a working dog, at least consider helping them be the best they can be at the job they have already been given, the family pet. You’ll be happy you did.